Always with a review by myself we start with a history lesson, so sit back relax and listen in. John Waller used to be in late 90's band "According to John". After the band quit in 2001 he became a worship leader at South Link CPP in Colorado, since going solo John signed to Beach Street Records and released his debut album "The Blessing" in March 2007. Last year John had the honour of touring with Casting Crows & Leeland on their tour which was called "The Altar and The Door" which ended in May 2008. Read More Always with a review by myself we start with a history lesson, so sit back relax and listen in. John Waller used to be in late 90's band "According to John". After the band quit in 2001 he became a worship leader at South Link CPP in Colorado, since going solo John signed to Beach Street Records and released his debut album "The Blessing" in March 2007. 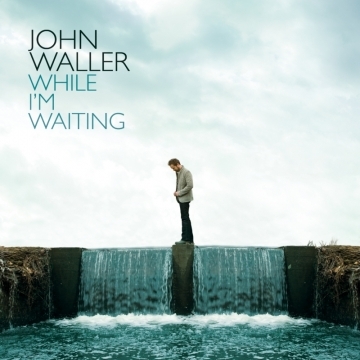 The big track on the album is "While I'm Waiting" which appeared on the hit film Fireproof and as John Waller goes on to say "I'm sure most people can relate to this song, but the important thing to remember while we're waiting on God, is to not just wait, but actively wait. Serve, worship and be faithful with what you have, where you are...even while you wait." Which is a brilliant message and fits with perfect lyrics and an anthem esq chorus. On the album there are two versions of the track, sadly one of the versions has been mixed with sound bites form the movie, which really detracts from the song. But the original version with no movie soundbites is a brilliant version. The album as a whole is nothing new, middle of the road rock which we have all heard before. It does have some exciting moments towards the end of the album. Indeed the messages of the lyrics are very important with songs like "Cling to The Call" & "Faith is living" which are embraced in Biblical words. But sadly it takes nearly to the end of the album for John to really start letting go and feel free enough to write/record much more rockier tracks, which was a nice change, maybe we need more tracks like "Dead Man Walking" & "Our God Reigns Here" to really push this album to new places. These tracks seemed to be put on at the end and don't really fit the album, yet in my opinion are the better tracks. As John Waller on his website goes on to say "When people sing the truth of God's Word it changed their lives. I don't know anything more powerful" You can't argue much with that.